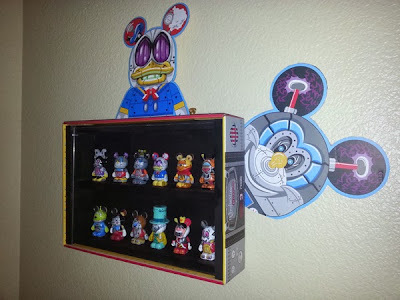 Destination Vinylmation: How long have you been collecting? 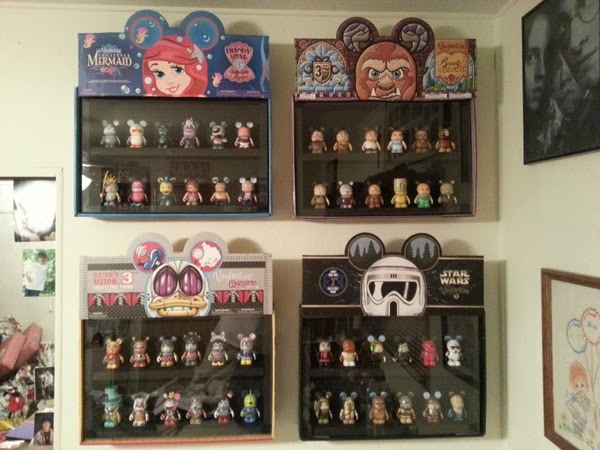 Tony and Erica: Just This year…Started with Pixar1 and Robots 3. 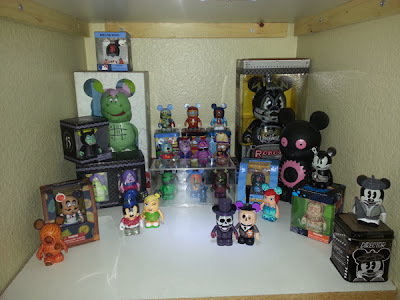 We did have a few from our last Disney trip. But wasn’t “collecting” then. We got hooked when we pulled the Pixar chaser with our 1st blox. DV: How many do you have in your collection? T&E: We currently have 195 and hope to be at 200 soon! DV: Which is your favorite vinyl? 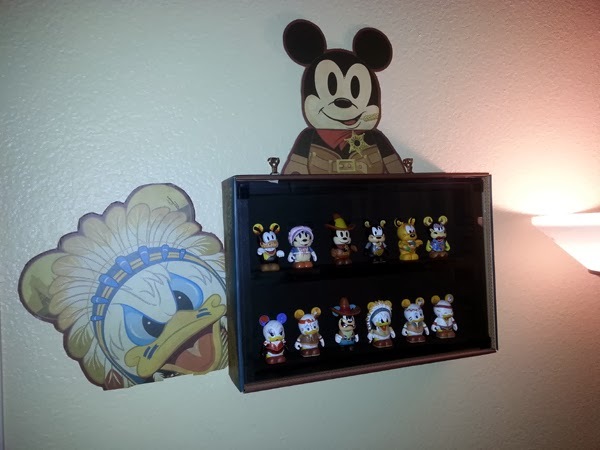 DV: Which of your Vinylmation is the most treasured? DV: Which vinyl was the hardest to get? DV: Who is your favorite Disney artist? 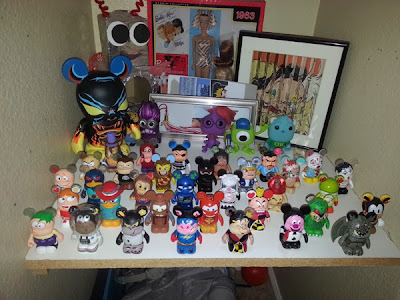 Favorite custom (if you have) and favorite custom artist? Its hard to choose. DV: How about Custom Artists? T&E: We LOVE our Panonboard custom (Great work). But Ryan Branoff, and Mike Ventrone have had AMAZING sets come out recently! DV: Hardest display to create? T&E: None were hard really. I make wood frame inserts that slide into ANY empty tray. I can make one using the measurements, paint, slide into the tray, DONE! I have shared how to do this with about 50 people by now via Facebook. Its so easy and quick. Its Fun! DV: Figure you’re most looking for? DV: Anything else you would like to add? T&E: There are so many great people that we’ve met doing this, and so many great artists. We are excited to keep collecting and growing our collection. Our son loves them. And my sister is absolutely hooked. Its really brought us together. DV: Thanks for your time and for sharing your impressive collection! WDWNT: The Magazine – Car or No Car?